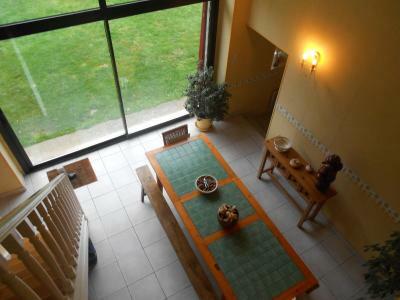 Lock in a great price for La Grange – rated 9.3 by recent guests! 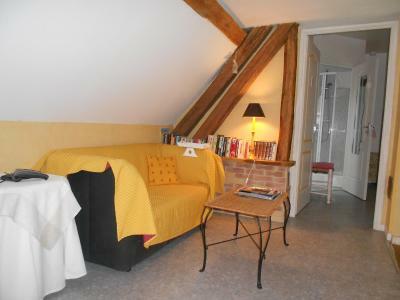 Lovely room in beautifully converted barn (grange in French means barn) run by friendly innkeeper well located by George Sand historic home in Nohant. Had a very pleasant overnight stay. Breakfast was tasty and ample. We arrived late for check in but that was not a problem and owner left a door open for us and kept an eye out. 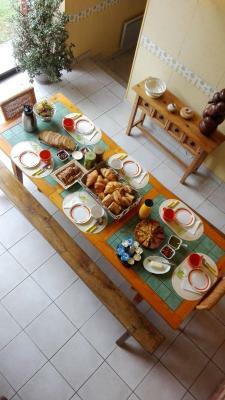 The breakfast was superb and our hostess was very charming. We hope to return. 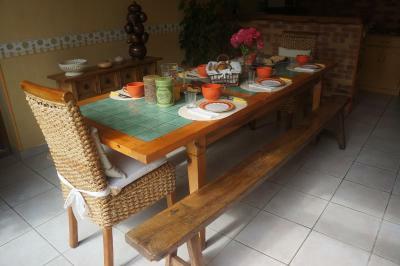 Delicious breakfast, delightful hostess, extremely comfortable accommodation. The host, Christine and his husband were very friendly and helpful. The room has a special atmosphere. Very lovely,clean, well equipped. 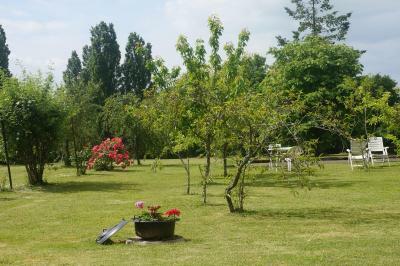 Beautiful garden( 1 hectare) and beautiful flowers around the house. Small waterfall. Very ideal. You can find a very nice surround. The church other side of the road has a fresco from the XII. century. The house of George Sand is also very close. You can find nice restaurants around. Real life of countryside. Breakfast was excellent. Homemade cakes and breads. Wonderful. 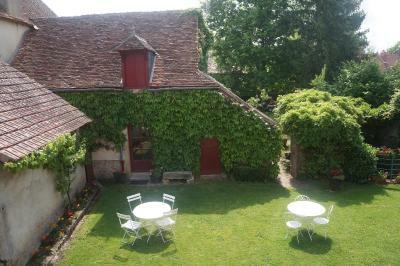 If you would like to join to the real french country side you should stop here. We had a most enjoyable stay here. Our host, Christine, was unfailingly charming, friendly and helpful, always ready to have a conversation with her guests while at the same time allowing them their space and privacy. 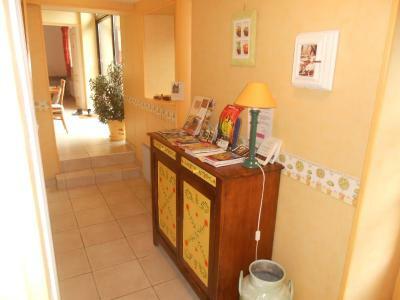 The accommodation is ideally situated in a tranquil, village setting, yet very close to many tourist attractions such as the house of George Sand and the Jacques Tati museum. The house, room and bathroom were immaculately presented and also provided a common seating and dining area where guests could relax while they enjoyed a delicious breakfast that catered for all tastes. 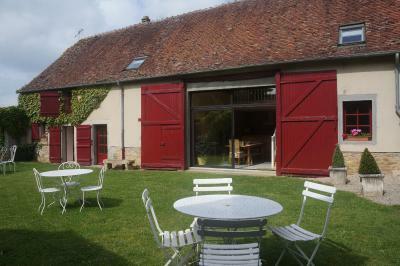 It should be noted that guests should be prepared to drive rather than walk to find local restaurants, but there is an excellent boulangerie just over the road where you can buy your picnic lunch. The garden at this accommodation is quite magnificent and I recommend allowing yourself time to enjoy it. We would have loved to stay at this excellent B&B for far longer. Thank you so much, Christine. It was lovely to access the garden and be outside. 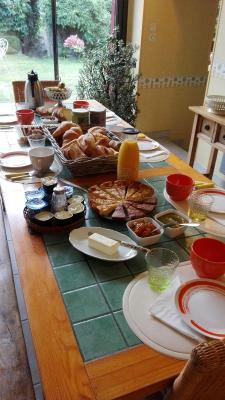 The breakfast was excellent with home made preserves, gateaux with home grown fruits. Plenty of coffee or tea and excellent breads too. Christine was very accommodating in that she provided us with ice and glasses for Pastis which we had with us. The room was very clean and pleasant. 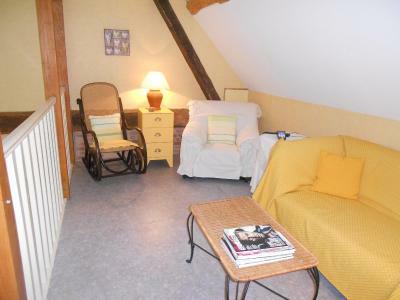 Belle chambre dans une grange restaurée, literie confortable, salle de bain, café et tisane dans la chambre, wifi (pas de TV). Excellent petit-déjeuner, avec des produits locaux ou maison. Environnement très calme, vaste pré avec des animaux (moutons, poules, oies...). Accueil très sympathique et généreux, conseils à la demande (restaurants, randonnées...). Très bon rapport qualité-prix. This B&B is in Nohant-Vic, a 4-minute drive from the house of the writer George Sand, where the artist Delacroix had a studio. 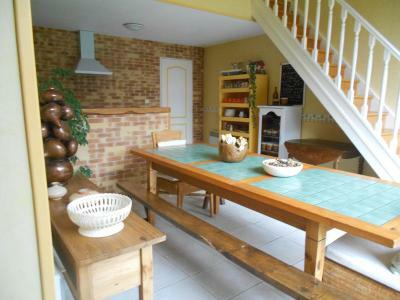 Set in a 1-hectare garden it has a terrace and free Wi-Fi. 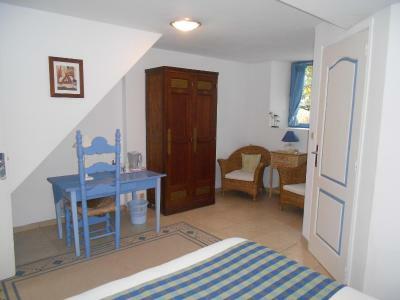 Each guest room at La Grange is decorated with the colors of flowers, in tones of pale blue, yellow or red. 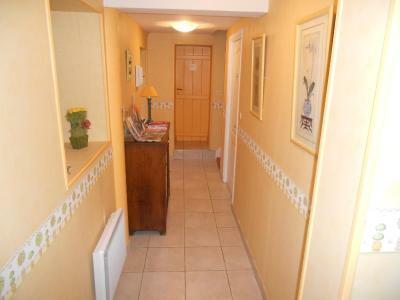 All the rooms have an private bathroom and a view of the surrounding area. Breakfast is provided every morning in the breakfast room. Guests can enjoy the large, private garden, furnished with outdoor furniture and parasols or read newspapers on the sofa on the mezzanine. 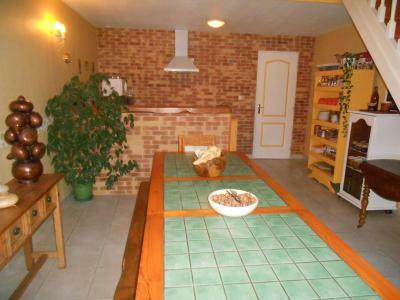 La Grange offers free, private parking and is 22 mi south-east of Châteauroux and the A20 motorway. There is a swimming pool 12 minutes’ drive away. This property also has one of the top-rated locations in Nohant-Vic! Guests are happier about it compared to other properties in the area. This property is also rated for the best value in Nohant-Vic! Guests are getting more for their money when compared to other properties in this city. 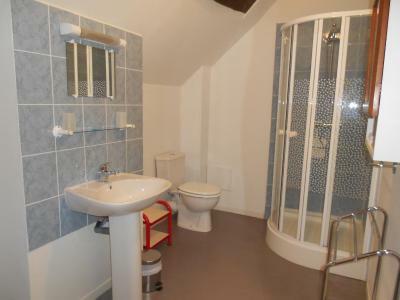 Located on the ground floor, this heated room includes a private bathroom and a kettle. Some rooms are decorated in white and pastel blue, others in white and red. Please note this room is suitable for guests with reduced mobility. 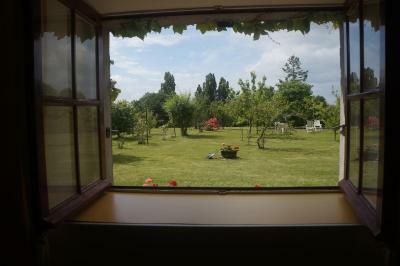 Located on the first floor, this heated room includes a view of the garden, a private bathroom and a kettle. It is decorated in white with accents of bright, flowery colors. 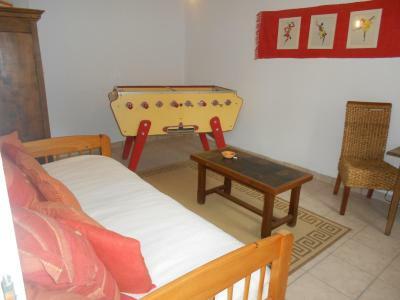 Please note that in the case that this room is reserved for 2 people, a supplement will apply for use of the 2nd bed. La Grange accepts these cards and reserves the right to temporarily hold an amount prior to arrival. Fabulous breakfast. Enjoyed it with other guests. The kettle in the room was a challenge and could probably be updated. There was limited tea and coffee in the room and although we were welcomed with a cuppa in the dining room, it wasn't clear if we could help ourselves to supplies. This may be due to the fact that we speak very little French (mainly Spanish) and were not sure how to ask. Be aware of the very narrow benches at the dining table. My husband found himself on the floor having missed it!! It was hilarious once he was over the shock and the other guests managed a chuckle too. Fortunately it wasn't a nasty accident. The main issue for us was the staircase that went up through our room. Although it was enclosed it needed a lot more insulation. The guests upstairs were very noisy and that did not help our stay. Comfortable and clean, but the bathroom can do with some upgrading.